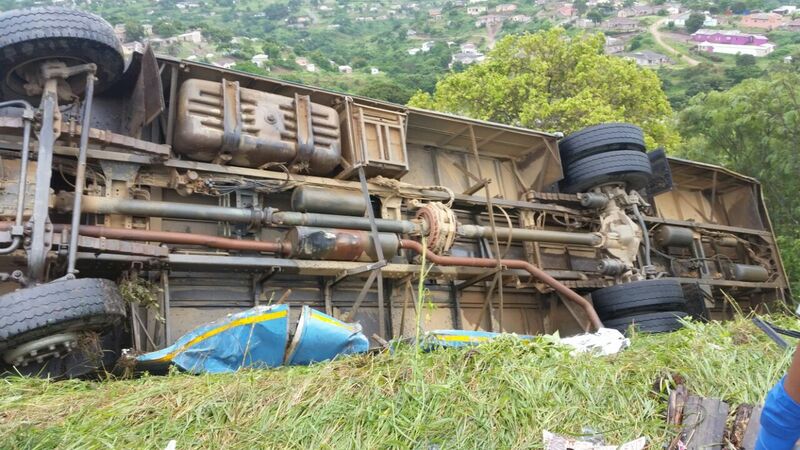 A man and two women, (Not four as previously reported) have sadly sustained fatal injuries in a crash involving a bus on the M1 highway near Savanah park in Chatsworth. 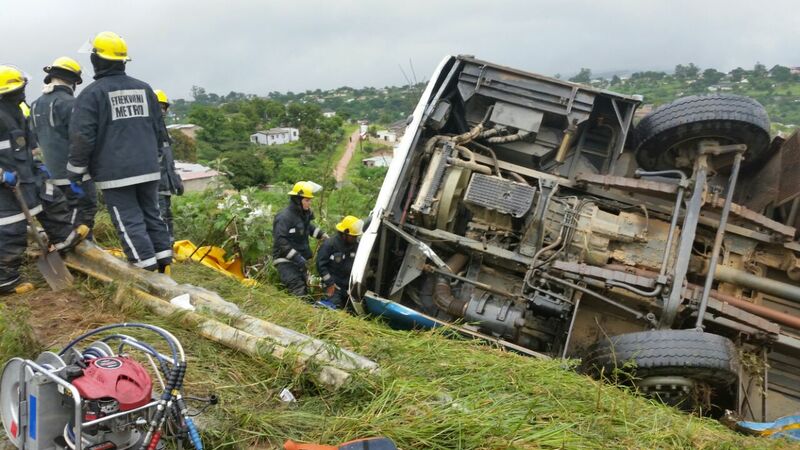 The bus left the road and came to rest on its side down an embankment. 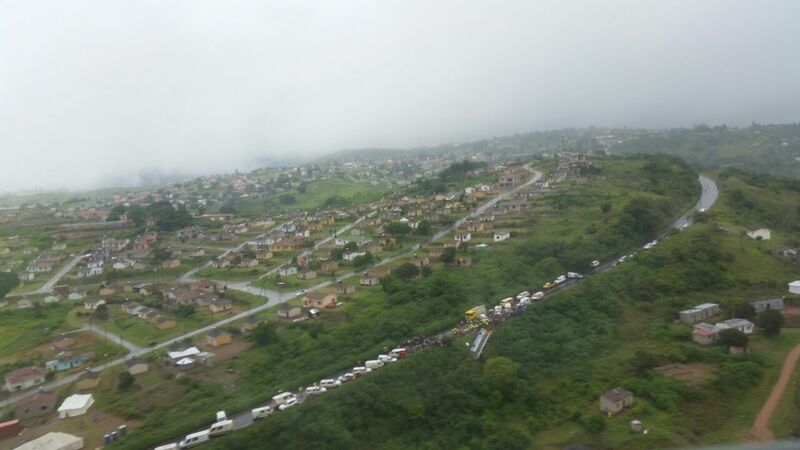 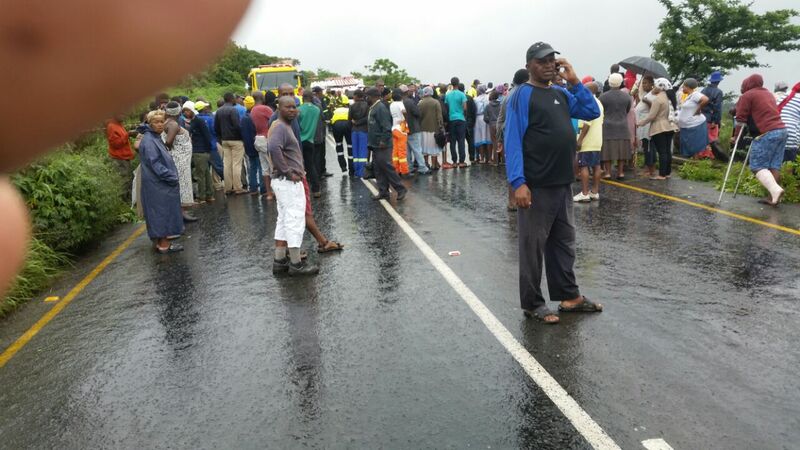 Paramedics and doctors from the KwaZulu-Natal Department of Health and local emergency services responded to the scene and worked together to treat scores of patients. 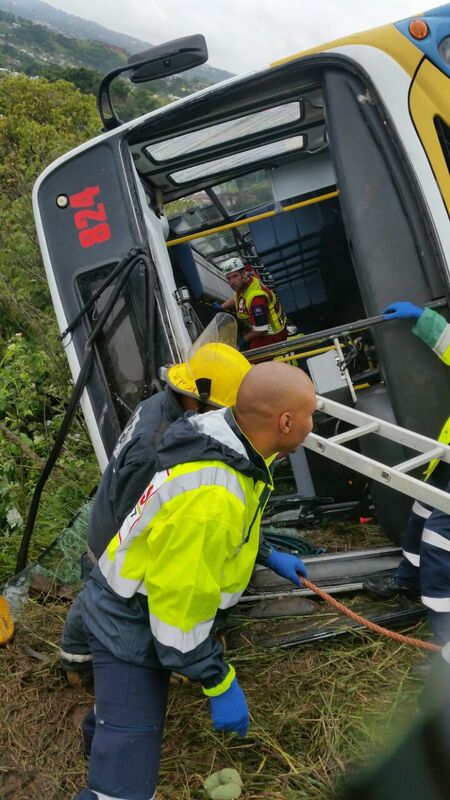 A total of 70 patients were treated at the scene, with seven of them having sustained critical injuries, while 16 were seriously injured. 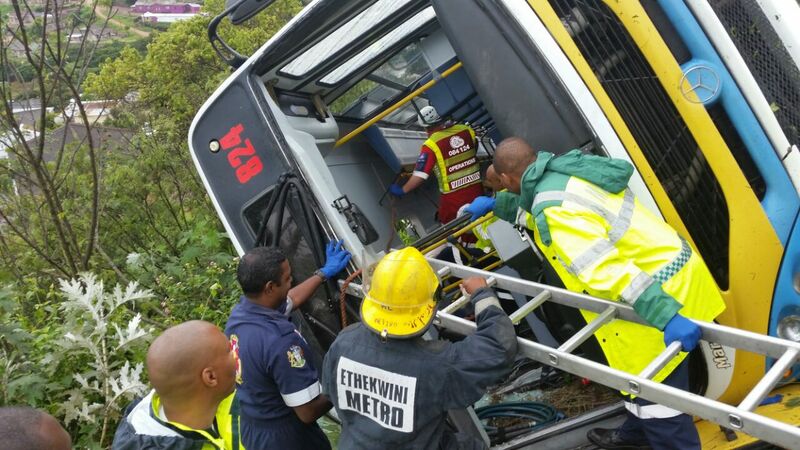 Many of the patients were trapped in the bus and fire fighters from EThekwini fire department had to use the Jaws of Life to extricate these patients, who were later stabilised by the paramedics. 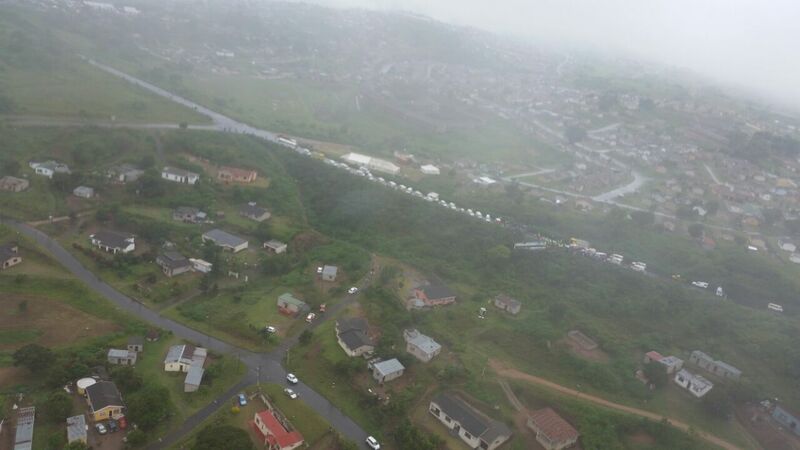 The Department of Health’s EMS helicopter was also dispatched to the scene and transported one of the critically injured patients to hospital. 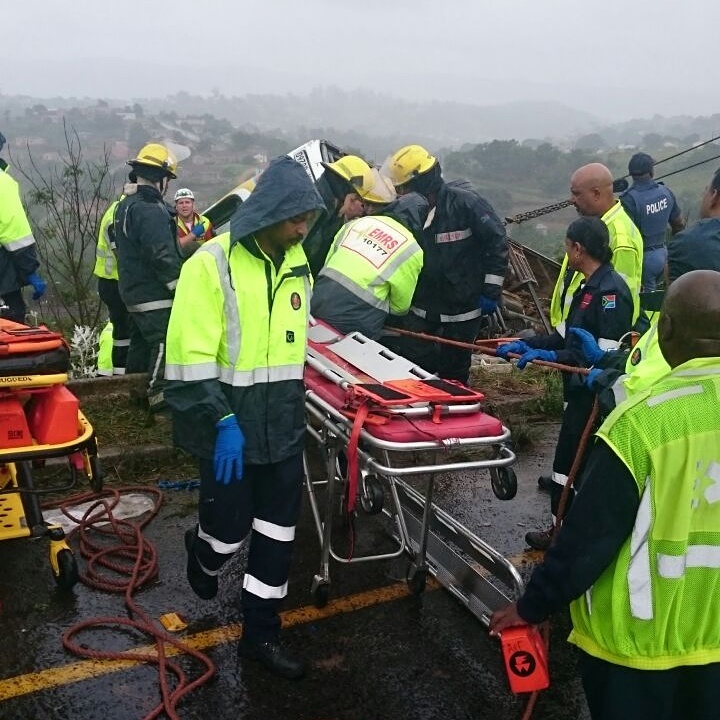 As EMS we would like to thank all the EMS services who responded to the scene to assist the injured patients. 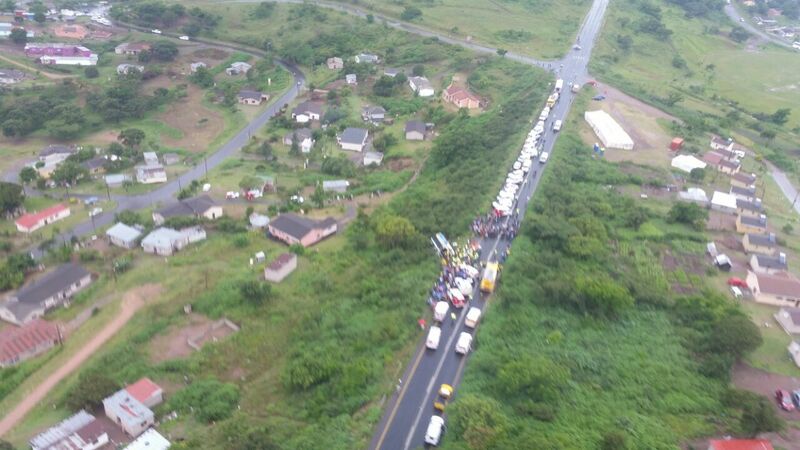 The exact cause of the crash is not known at this stage and is being investigated by the police.